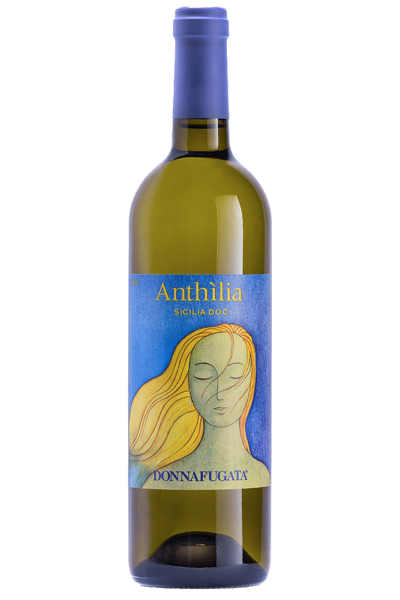 The Anthìlia was the first wine produced by Donnafugata and is characterized by the beautiful label that depicts the elusive and mysterious face of a woman, with long hair blowing in the wind; owes its name to the ancient city of Entella, a fortress overlooking the Mediterranean Sea in the heart of Sicily, strategically positioned so as to be subdued, in ancient times, first by the Greeks and followed by Romans and Arabs. Wine produced from an equal blend of two autochthonous grapes, Ansonica and Catarratto, expresses a precise personality linked to very sweet and elegant fruity sensations. Straw-yellow color with a pleasant floral and fruity olfactory impact on a mineral and salty background, it denounces a perfectly balanced fullness and freshness on the palate, with character, flavour and a tasty almond trail. On dishes with smoked fish, shellfish, anchovies and pasta dishes also in the oven. With eggplant rolls and mussels au gratin. Sign up to our newsletter to stay in the know about our offers and sales. 10 £ discount voucher for your first purchase!